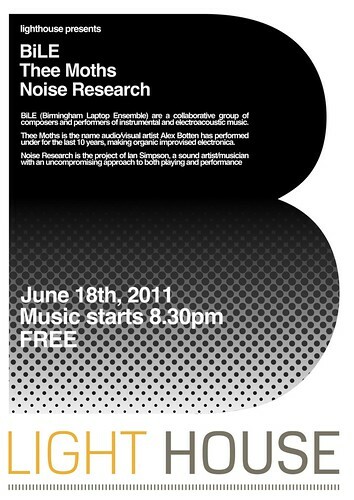 A FREE post-concert performance of new and older works by BiLE (Birmingham Laptop Ensemble) in the Birmingham Symphony Hall Cafe Bar after Dracula: The Music and Film. We will be performing Back to Front by Julien Guillamat, a new work by Shelly Knotts and Chained Melody, a new collaborative work by BiLE specially composed for this great occasion. Not to miss! 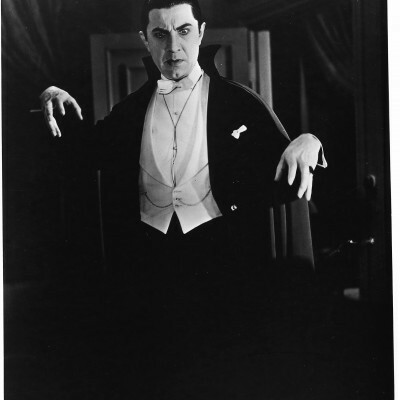 If you want to attend Dracula: The Music and Film’s event performed by the Kronos Quartet and Philip Glass at Symphony Hall go here. Join on our Facebook event page here. Between 12th and 19th July we were resident in Azet, a small village in the middle of the Pyrenees where we began the first stage of a long-term collaborative project. We spent three days trekking and field recording around the area which we explored on three different levels: the bottom of the Vallée d’Aure at 800m, the valley of Arsoué and Azet at 1200m and the mountain path of Azet at 1580m. The sonic environments on these three levels were dramatically different from very populated towns to deserted open spaces. We spent the majority of our time on the deserted valley of Arsoué where we collected a wealth of sound material from the natural environment. The valley changed day to day, one moment shrouded in clouds and mist and the next blue skies and strong burning sun which meant aural changes as well as visual. We also encountered the Tour de France in Guchen and Bastille day festivities in the local town Saint-Lary-Soulan. After our recording sessions we retired to our temporary studios where we worked on the material in preparation for it’s first presentation at SOUNDkitchen’s SONICpicnic. To whet your appetites here are some photos and sounds from the trip but be sure to join us on the evening of 29th July for the full performance! Entre le 12 et 19 Juillet nous avons été résident à Azet, un petit village au milieu des Pyrénées, où nous avons commencé la première étape d’un projet de collaboration. Nous avons effectué trois jours de randonné et d’enregistrement sur le terrain autour de cette zone que nous avons exploré sur trois niveaux différents: le fond de la Vallée d’Aure à 800m, la vallée d’Arsoué et Azet à 1200m et le col d’Azet situé à plus de 1580m. Les environnements sonores sur ces trois niveaux sont radicalement différents, on y trouve des villes très peuplées et des espaces ouverts désertiques. Nous avons passé la majorité de notre temps dans la vallée inhabitée d’Arsoué où nous avons recueilli une foule de documents sonores provenant de l’environnement naturel. La vallée change au jour le jour : un moment enveloppée de nuages et de brume puis un ciel bleu et un soleil brûlant signifiant des changements sonores ainsi que visuels radicaux. Nous avons également rencontré le Tour de France à Guchen ainsi que les festivités du 14 Juillet dans la ville locale de Saint-Lary-Soulan. Après nos sessions d’enregistrement nous nous sommes retirés dans nos studios temporaires, où nous avons travaillé sur le matériel en préparation pour la première présentation de notre travail au SONICpicnic de SOUNDkitchen (Birmingham, UK). Assurez-vous de nous rejoindre dans la soirée du 29 Juillet pour l’exécution finale de cette première partie! Sonnation II, the live version (for cow bells and laptop ensemble) of Sonnation I (8 channel acousmatic work) will be performed at the first TEDx in Birmingham on the 24th of March 2012 by BiLE. The event has sold out but you can watch a live stream of it here! Birmingham’s inaugural TEDx event will bring the TED spirit of ideas worth spreading to our city for the very first time, igniting a passion for spreading ideas in local communities and beyond. The aim is to spark deep conversations and connections, bringing together people from different backgrounds from across the city to inspire both thought and action. SOUNDkitchen are pleased to announce our first tasting menu of the new year. This special event will launch Birmingham’s first Network Music Festival and to whet your appetite for the hi-tech musical mastery in store we are presenting some of Birmingham’s best home grown electronic acts. The NETWORK MUSIC FESTIVAL PRE-FESTIVAL PARTY co-curated by SOUNDkitchen takes place on Thursday 26th January, 8pm at The Edge, Digbeth. And the Network Music Festival will take place in Birmingham (UK) 27th-29th of January 2012. A weekend of hi-tech musical performances and workshops that presents new musical forms and ideas where networking is central to the aesthetics, creation or performance practice of the work. In association with BEAST. BiLE will be performing XYZ by Shelly Knotts and premiere the first ever written LaptOpera by Charles Céleste Hutchins Saturday 28 at 6pm. BiLE will be performing at the Ort grand opening on November 11th (from 7 till late). My piece Sonnation I will be premiered. Pierre-Alexandre Tremblay with musicians from Cobweb, Shelly Knotts and myself (as SOUNDkitchen) will be giving a FREE jazz live instrument plus electronics workshop at the MAC for the Harmonic Jazz Festival the 30th of September @10.30am in the Foyle Studio. For more information on the workshop look at the festival programme here. We had so much fun playing at BMAG and what a fantastic audience for Artsfest! On a adoré jouer au Musée de Birmingham. Spécial remerciement à un super public au festival Artsfest! We will be playing at the Birmingham Museum & Art Gallery in the Round Room Gallery Saturday the 10th of September at 15.30. BiLE will be performing my recently re-titled electroacoustic cello sonata ‘Back to Front’ and Stucknote by Scot Gresham-Lancaster of our favourite laptop band: The Hub. As usual, there’ll be visuals from Antonio Roberts. BILE a été sélectionné pour jouer au célèbre festival de Birmingham : Artsfest. Nous allons jouer au Musée de Birmingham & Art Gallery dans le cycle de chambre Galerie Samedi 10 Septembre à 15h30. BILE interprétera ma récemment ré-intitulée ‘Back to Front’ sonate électroacoustique pour violoncelle ainsi Stucknote par Scot Gresham-Lancaster de notre bande préférée: The Hub. Comme d’habitude, il y aura des visuels d’Antonio Roberts. A la semaine prochaine! 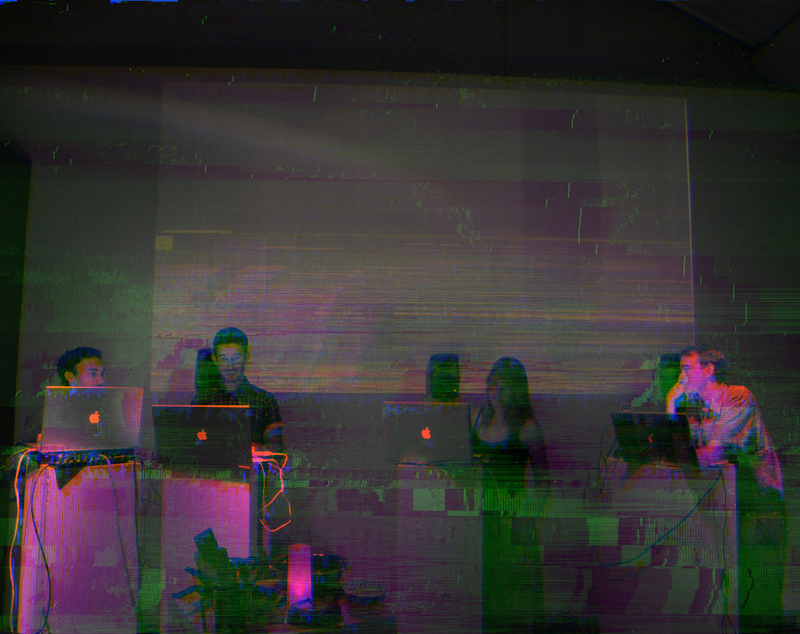 Here are some videos from SOUNDkitchen’s SONICpicnic at VIVID. An exciting evening, I really can’t wait for the next one! Voici quelques vidéos de SONICpicnic de SOUNDkitchen à VIVID (Birmingham UK). Une soiré très excitante, vite, vite… la prochaine! 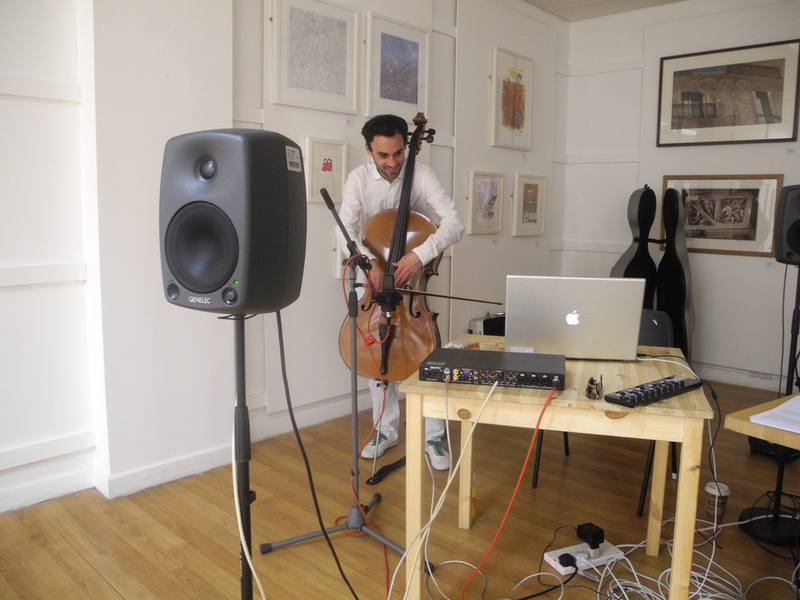 ‘Back to Front’ an electroacoustic cello sonata (with BiLE, visuals A. Roberts). Entre Terre et Ciel (with Annie Mahtani, visuals A. Roberts). Les environnements sonores sur ces trois niveaux sont radicalement différents, on y trouve des villes très peuplées et des espaces ouverts désertiques. Nous avons passé la majorité de notre temps dans la vallée inhabitée d’Arsoué où nous avons recueilli une foule de documents sonores provenant de l’environnement naturel. La vallée change au jour le jour : un moment enveloppée de nuages ​​et de brume puis un ciel bleu et un soleil brûlant signifiant des changements sonores ainsi que visuels radicaux. Since February 2011 some great artists have been on the stage of SOUNDkitchen. They are coming back to celebrate the summer at SONICpicnic at VIVID the garage, the 29th July from noon till late! De Part Et D’Autre – my tape piece will be played in the immersive listening room all day. 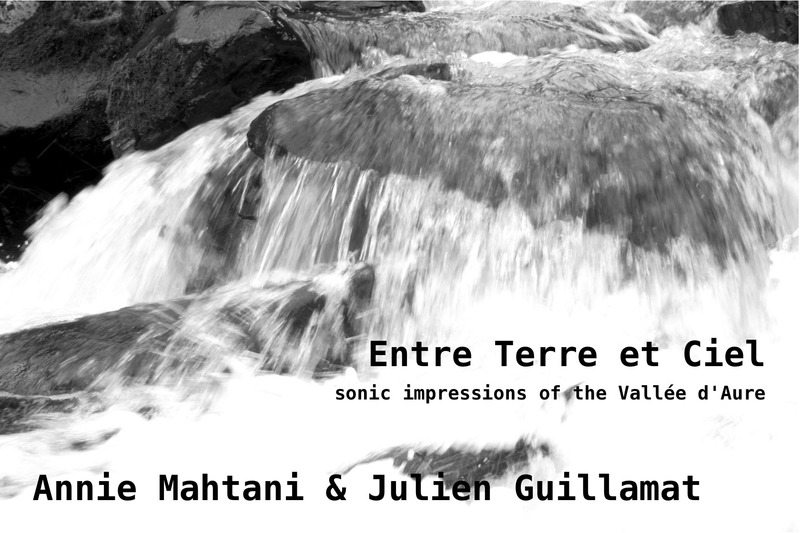 Entre Terre et Ciel – a sonic impression of the Vallée d’Aure, a new collaboration with Annie Mahtani on the main stage in the Evening. Back to Front (EA Cello Sonata) – that I will perform with BiLE on their own stage in the evening. STONEsoup – a collective film to which I contributed with 12 other artists will be screened during lunch time. 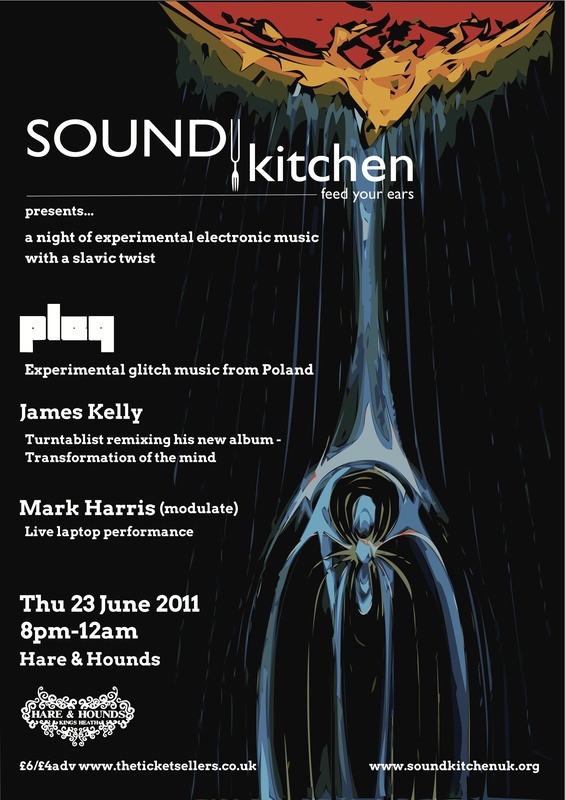 SOUNDkitchen returns with another great line-up this time the menu taking a slavic twist. Pleq is the solo project of Bartosz Dziadosz,an experimental musician who combines elements of drone, down tempo, glitch and modern classical. He creates his work by fusing together independently synthesized sounds, often incorporates violin, the unexpectedly melancholic sound of a piano, sometimes female vocals. Leicester based turntabilist and composer will be remixing some of his new album, Transformation of the Mind. Artist and musician Mark Harris will perform a solo improvised set using generative systems and gradually evolving sound material. BiLE at the Light House Media Centre, 18th June 2011. This Saturday from 8:30pm BiLE will be performing alongside Thee Moths and Noise Research at The Light House Media Centre in Wolverhampton. 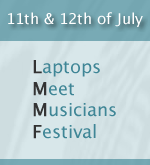 The 2011 New Interfaces for Musical Expression selected us (Birmingham Laptop Ensemble) to perform this year in Oslo. We will be playing a new piece by Shelly Knotts using motion capture devices such as iphones, wiimote or kinnect where each player has to fight for their sounds! So if you’re around, we’ll be performing the Tuesday 31st of May @ 9.00pm in Chateau Neuf (Street address: Slemdalsveien 15).